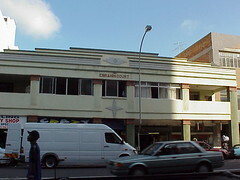 This great little deco building, Ebrahim Court, is in the Indian quarter of Durban. I really like the strong horizontal feel emanating from the banding at the roof line. Four and a half shops wide and only two tall helps as well. 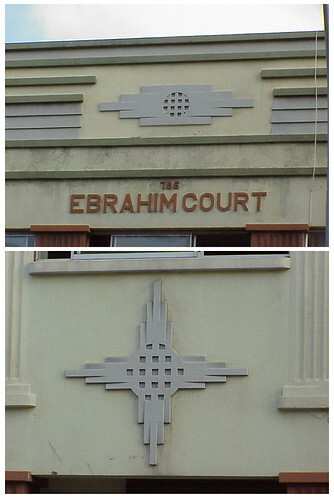 And while the Art Deco decorative piece breaking the horizontal is good but the star-shaped element above the door is wonderful.